LARGE 18th CENTURY MAS, VIEW OF THE LUBERON, BEAUTIFUL HEATED SWIMMING POOL, QUIET. Property 8: LARGE 18th CENTURY MAS, VIEW OF THE LUBERON, BEAUTIFUL HEATED SWIMMING POOL, QUIET. I traveled here with a group of 18, mostly couples, and we really enjoyed our stay. Sarah went above and beyond with all of our requests and that was so appreciated. She's a gem! 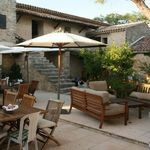 Lovely home, easy walk to Gordes, accessible to many wonderful sights in Provence. And the views are gorgeous! This property was just as beautiful in person as in the pictures. The history of this property is palpable, and yet the modern amenities make it the perfect retreat. If you are looking for privacy, quiet, country landscapes, and a beautiful place to just relax for a week, this is the spot. 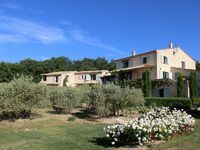 Close to both Gordes and Venasque (both stunning hillside towns), the property is optimally located. After our first stay we hope to make this a place we return to for years!